John Rivera had just completed his shift when he and another man were shot. A Chicago police officer who had just finished his shift was shot and killed early Saturday in an apparently random attack, officials said. Officer John Rivera, 23, and another victim were ambushed and shot about 3:30 a.m. local time while sitting in a vehicle in the Downtown section of the city, police brass said in a news conference Saturday morning. 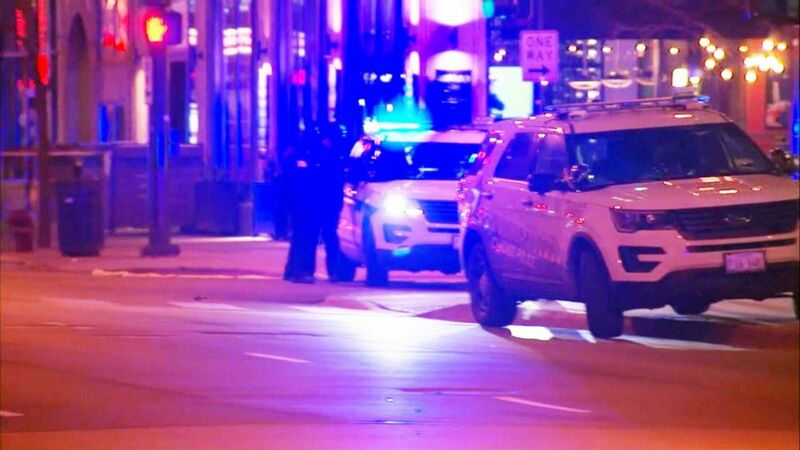 The two shooting victims and two other people, including another off-duty police officer, had just left a nightclub, officials said. "It's just a shame, this kid, 23 years old, had his whole life and career ahead of him, and he gets gunned down senselessly," said Eddie Johnson, the superintendent of the Chicago Police Department at an afternoon news conference. "Right now, I'm disgusted," Johnson said. Johnson said his son, also a police officer, served alongside Rivera. "My heart aches for his entire family," he added. Rivera and the other officer, who had just finished a "tour of duty," had left the club with their two friends and returned to their vehicle, officials said. That's when two men approached them, said First Deputy Superintendent Anthony Riccio. He's the kind of officer that we want in Chicago. "One of them pulled a gun and fired," he said during the news conference. "It does appear to be random. They did not have any confrontations with anybody," he added, referring to the police officers. There was "no indication whatsoever" why the group was targeted, Johnson said. The shooter is still at large, officials said, but detectives are interviewing a "person of interest." The gun used in the shooting has not been recovered, Johnson said. "There's an abundance of video," he said. "Detectives are combing through that video." 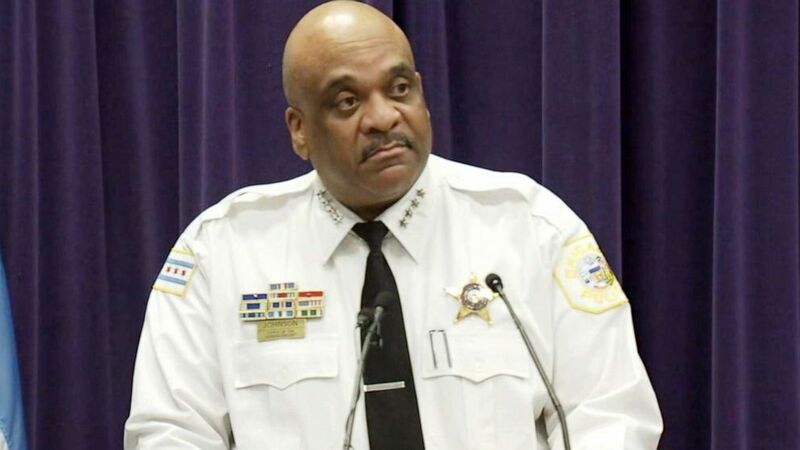 (WLS) Eddie Johnson, superintendent of the Chicago Police Department, addresses the press, March, 23, 2019. Johnson made a pledge to catch the shooter and anyone else involved in the shooter. "Mark my words," he said, "we will find them." Rivera had been on the job for close to two years, Riccio said. "He's the kind of officer that we want in Chicago," Johnson said. 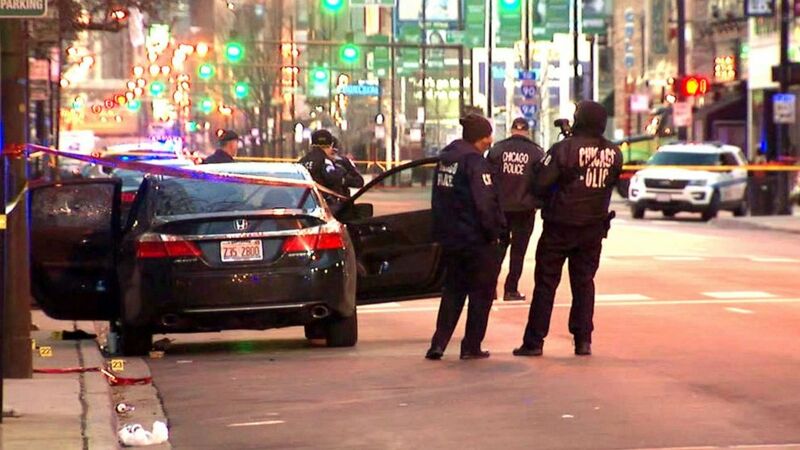 The Chicago Police Department tweeted photos showing a procession of police vehicles transferring the officer's body to the Cook County medical examiner's office. A spokesman for the police department, Anthony Guglielmi, called the shooting a "devastating incident."